A very common motif in Ancient Egypt, the "all-seeing eye" Horus was the son of the goddess Isis and the god Osiris. 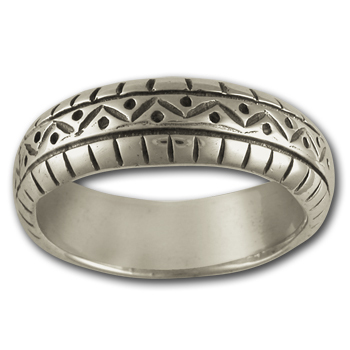 The Egyptians used the eye as an amulet to ensure safety, protect health and give the wearer wisdom and prosperity. 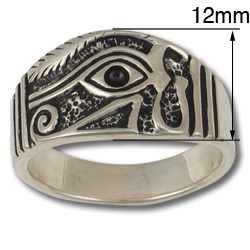 Cast in sterling silver this larger Eye of Horus Ring is oxidized to accentuate the detail.